Children will have the opportunity to participate in both structured and non-structured activities. This will be a combination of craft and recreational activities. Please make sure that you record information correctly on the Years 1-3 enrolment form. Children will have the opportunity to participate in both structured and non-structured activities. This will be a combination of craft and recreational activities. Please make sure that you record information correctly on the Years 4-7 enrolment form. Monday 15th April – A fun ceramic painting activity for children to take home and display on their wall. Monday 15th April – Children will be able to view one of the latest releases showing at the Event Cinema, followed by a colouring competition in the afternoon. Tuesday 16th April – Children will be able to view one of the latest releases showing at the Event Cinema, followed by a colouring competition in the afternoon. Tuesday 16th April – A fun ceramic painting activity for children to take home and display on their wall. Wednesday 17th April – Enjoy making origami baskets and Easter bunnies, followed by an Easter egg hunt. 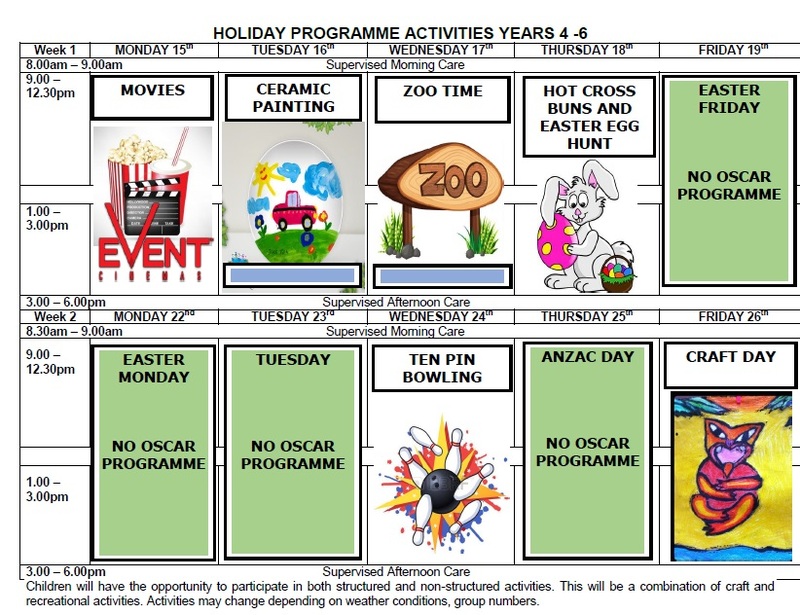 Wednesday 17th April – Today, we are off to the Zoo. Children will enjoy exploring and learning about some of the amazing animals and the enclosures, they live in. Thursday 18th April – Today, we are off to Butterfly Creek. Children will enjoy exploring and learning about butterflies and travel back in time when dinosaurs ruled! Thursday 18th April – Enjoy making Hot Cross Buns and origami baskets, followed by an Easter egg hunt. Friday 26th April –. We are off to Ten Pin Bowling! So, how good is your aim? Do not worry if it is not too good, as you will have lots of opportunity to get better as you play. Friday 26th April –. 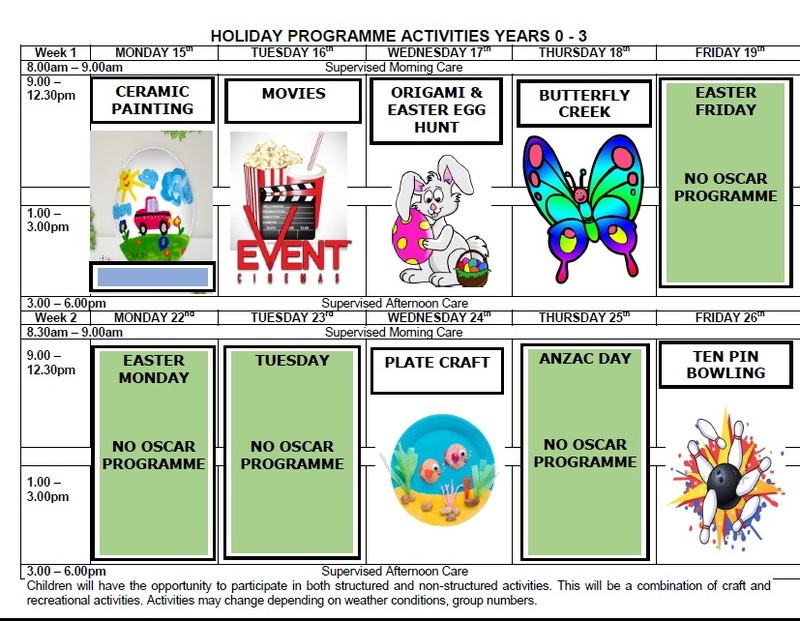 A range of craft activities will be available for children to complete. Parents to provide morning tea, lunch and a drink, unless stated, not required. Children must wear shoes on all outing days, as well as bring a rain jacket. Please have all clothing named and ensure all valuable items remain at home.